DFW Fiber Fest takes place at the Irving Convention Center at Las Colinas. We have more room for classes; more room for everything! The Directions page will help you find us and get there safely. 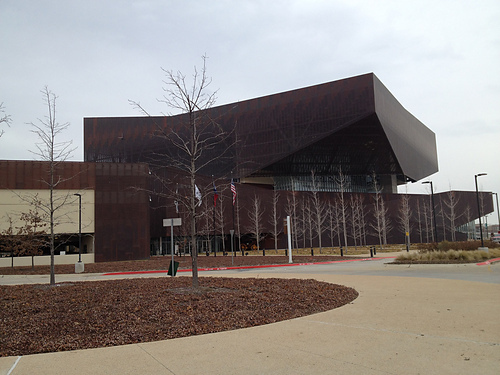 The Irving Convention Center (ICC) is accessible by public transit. The Convention Center station is on the Dart Orange line and the walk from the station is about 3/10 of a mile according to Google Maps. The address of the ICC is 500 W Las Colinas Blvd. We have reports of GPSs taking folks to the wrong address. Be sure to enter the W in the address.